This coming January in Chichigalpa, the lowlands of Nicaragua, with the help of La Isla Foundation, we will document via portraiture the Chronic Kidney Disease and Chronic Renal Failure epidemic facing sugarcane workers in this region. There is a staggering mortality rate among the male workforce population from this disease, which is thought to be caused from a combination of dehydration from strenuous labor conditions and environmental toxins. Our focus is the small community of La Isla, which is referred to as “La Isla de las Viudas” (“The Island of Widows”) – a name reflecting the reality of life in a community where many men are dying young, leaving behind their families. There is a near media blackout of the issue, and we are looking to gain global attention through the archaic yet poignant platform of painting. These families, both the living and the deceased, will be immortalized on local cloth in red, black, and white – visceral colors of revolution. 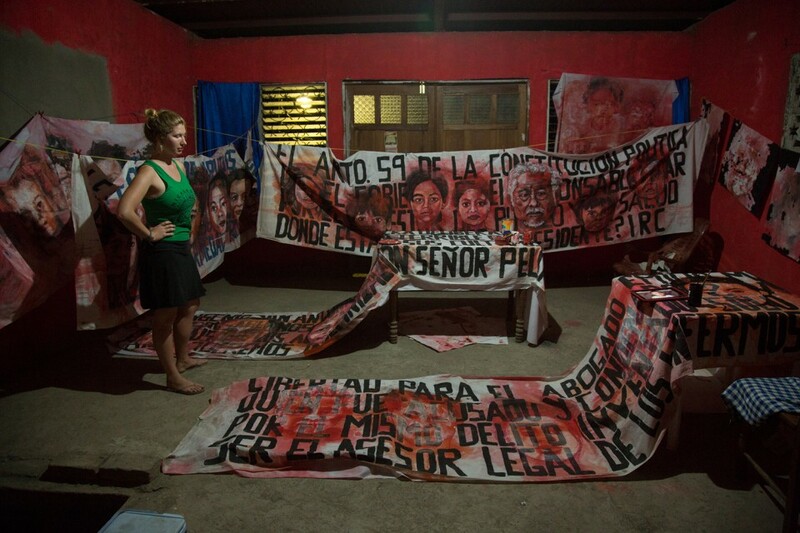 The living will be rendered on former protest banners used previously by those affected by CKDnT. The banners will be carried by protesting citizens in statement against the working conditions and cruel silencing of the afflicted workers and their families by the government and industry. The deceased with have two images in red – a realistic rendering and a corresponding monoprint. 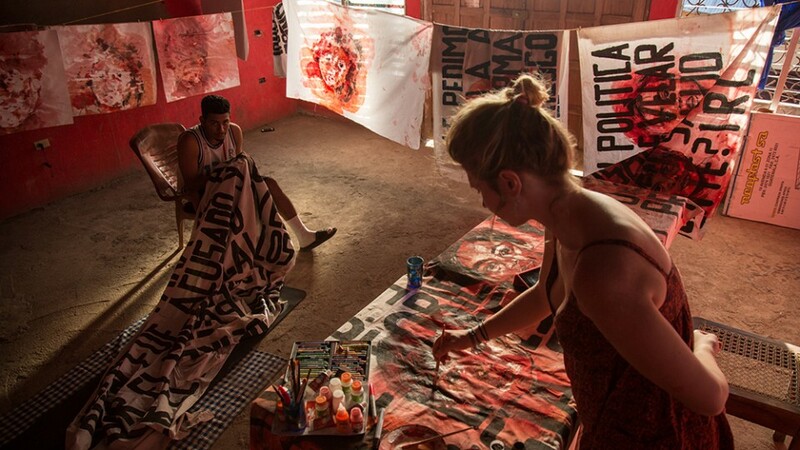 All of the individual red portraits will be installed in a memorial installation at the local cemetery and on a bridge that connects La Isla de Viudas to the city of Chichigalpa. After the installations are completed, the memorial portraits will be given to the surviving family members. The sheer accumulation of portraits will literally illustrate the seismic loss in this community. Using human faces as the imagery, it creates a palatable way for consumer societies to ingest and understand the death and degradation of this demographic. Additionally, it will enable a catharsis for the participants by memorializing their lost ones and including them in the creation of a beautiful artwork that is directly tied to their personal plight.